This is the first edition of "Tax Policy Reforms in the OECD". 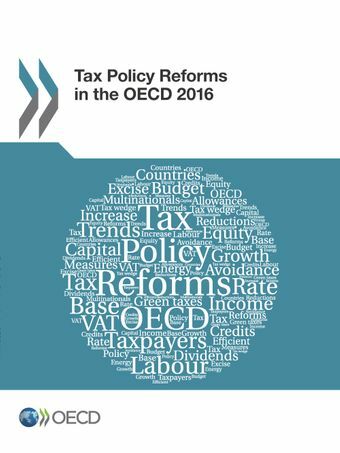 This annual series of reports aims to track and compare tax policy developments over time across OECD countries. This year’s edition focuses on the tax reforms that were introduced in 2015 and identifies the most significant tax policy reforms as well as common tax policy trends across groups of countries. The Report is primarily based on responses to the OECD Tax Policy Reform Questionnaire which is sent yearly to all member countries to collect information on tax reforms and their expected revenue effects. Monitoring tax policy reforms across the OECD and understanding the context in which they were undertaken is crucial to inform tax policy discussions but also to support member and non-member countries in their assessment and design of future tax reforms. An OECD Tax Talk, hosted by Pascal Saint-Amans, was held to present and discuss the main results of Tax Policy Reforms in the OECD.